Please scroll down for Shrek Jr. registration payment. Registration for Shrek Jr. is now closed. will begin in Feb 2019. Registration for Fall 2019 starts soon. Ages 4 & up register now! 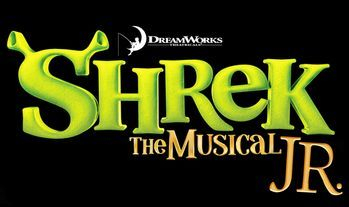 Registration payment for Shrek, Jr.
*Please see registration information (scroll down) and Family Theatre, Inc. policies prior to purchase. *Registration fee also does not include tickets to shows. Tickets may be purchased closer to show dates. Online tickets will be held at will call under buyer's name. Family Theatre, Inc. has NO REFUND policy. Cancellations must occur within 72 hours of purchase. A $25 fee will apply to all cancellations. No late payments accepted. No student can participate in a class without full payment received by Family Theatre, Inc.
Payment for all programs must be via online, check or cash only. Check to: Family Theatre, Inc.
Make up policy: There are no make up classes for absences. Rehearsals may be cancelled or postponed by Family Theatre, Inc staff at any time. Registration form must be turned in at first class or before. Family Theatre, Inc. does not pro-rate any classes for late enrollment. If paying by via credit card, all transactions are currently charged to Family Theatre, Inc.
All Family Theatre, Inc. students must follow school rules and respect school and city property when participating in Family Theatre, Inc. programs. Any violation calls for immediate removal from the program. Parents will be charged extra for any unreasonably late pick ups. Please be aware of pick up times.